Tokyo, Japan – September 1, 2015 – LINE Corporation, owner and operator of the free call and messaging app LINE, today announced the official release of "LINE Launcher," an Android app that allows users to customize their home screens. 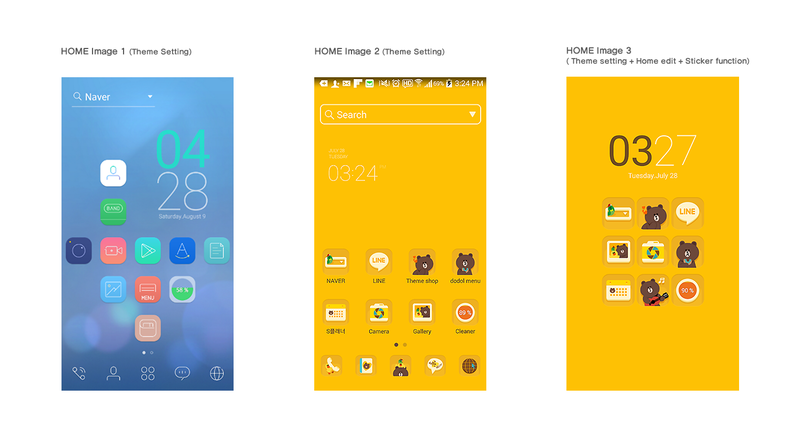 LINE Launcher is a smartphone skinning application which allows users to customize their home screens with ease. Users select and download themes comprised of wallpaper, icons, widgets and more, and then utilize simple steps to transform their entire phone all at once. Themes include popular LINE characters such as Brown, Cony, and Sally, as well as other motifs such as scenery, nature, and animals. With over 3,000 free options to choose from, users can easily switch between themes to find the one that suits them best. 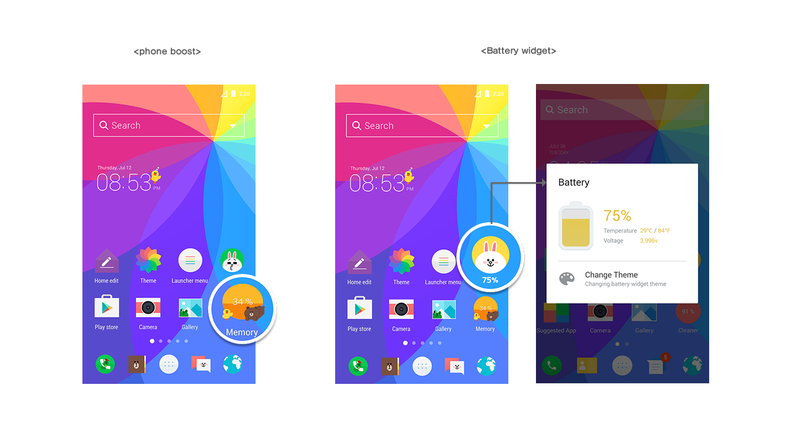 In contrast with LINE DECO, an app which allows users to choose from a large variety of materials to customizable their home screens, LINE Launcher offers a plethora of standard widgets, including a battery power monitor, a one-tap boost that frees up memory on the device, a comprehensive search engine that lets the user sift through web pages, apps, and contacts all at once, settings switchers for Flash, Wi-Fi, and location services, and more. LINE Launcher packs all of these features into one app, eliminating the need to install dozens of separate, single-purpose applications. In addition to changing themes, users can customize their home screens with LINE Launcher stickers, wallpapers, and icons in whatever arrangement they like. Stickers can also be used as custom icons* for shortcut links to any app or URL. *Customizable icons only serve as shortcuts to the original app, website, phone number, or email address. Please do not delete the icon of the original app the shortcut is linked to. - Enjoy over 3,000 themes ranging from LINE characters, to scenery, nature, and animals, all for free. 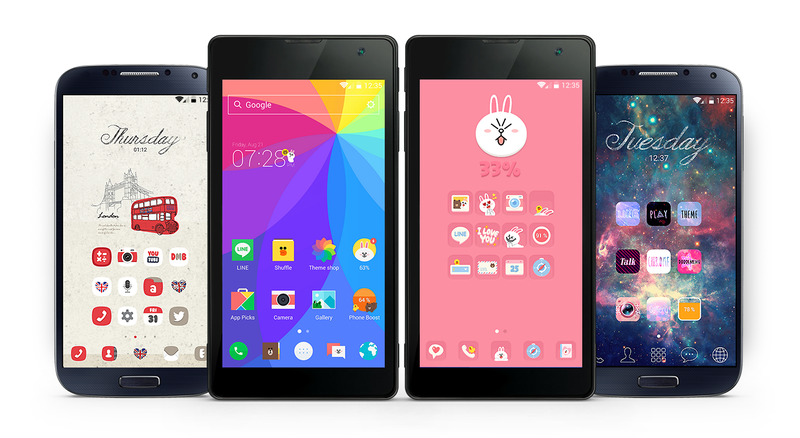 With LINE Launcher, It's quick and simple to change your smartphone's wallpaper, icons, and widgets all at once. - This feature suggests new wallpapers daily from a robust selection of over 100 designs featuring LINE characters and more. - Users can easily change the layout, size, and names of icons, and customize the dock bar to their liking. - Manage widgets like the battery power monitor and phone boost from the home screen. - Users can search across web results, apps installed on their phone, and contacts to find anything in a flash. - LINE Launcher detects apps on the user's phone that require updates and recommends their updated versions. Android and Google Play are registered trademarks of Google Inc. All listed company and product names are trademarks or registered trademarks of their respective owners. All information is true and accurate at the time of publication, and subject to change without notice.